Cu Chi tunnels went into the history of heroic struggle of the Vietnamese as a legend of the 20th century and became famous in the world. 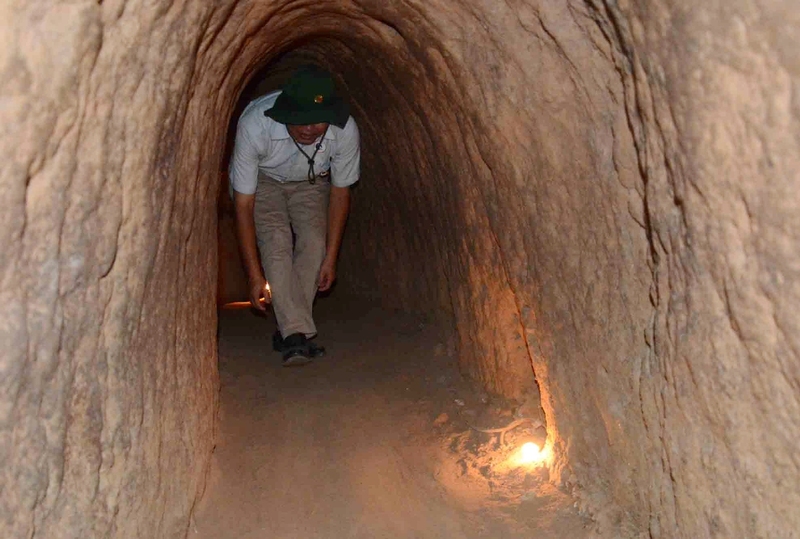 History of the Cu Chi tunnels: the Ho Chi Minh City (previously called Saigon) was harshly punished during the French occupation and during the Vietnam war. Americans shelled the area of incessant manner, making a very inhospitable place that the only alternative was to live under the ground (Địa đạo Củ Chi) Saigon. Many people believe that these tunnels were built during the Guerra of Vietnam against the Americans, however they are earlier, were built during the French occupation and were expanded during the Vietnam war. Peasants day farmed paddy fields and at sunset, excavating tunnels. A total of 220 kilometers of tunnels divided in 3 levels to 6 meters, 8 meters and 10 meters deep underground, where they arrived to live more than 10,000 people. 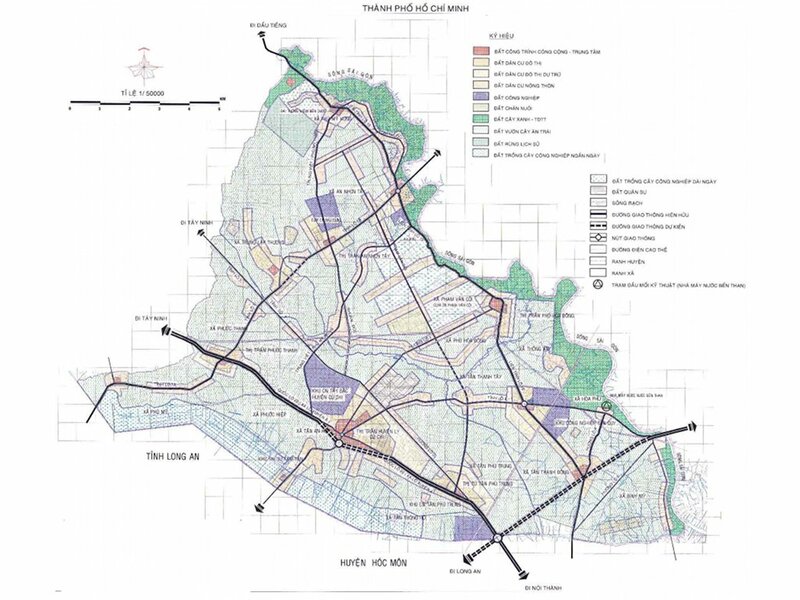 The tunnel design is zigzag, served as a link between different villages (some tunnels pass under rivers) and played a definite role for the outcome and the Vietnamese victory Vietnam War. Without going any further, the leader Ho Chi Minh Viet Cong planned the Tet offensive inside the tunnels of Cu Chi. The tunnels were so good that even American camouflaged mounted one above the tunnels camp without even noticing the presence of these. The Vietnamese used tunnels to move from one place to another jungle, attack the enemy, and disappear without a trace. As a curiosity, the Vietnamese stole supplies the Americans first by logistical issues and second, to motivate the Viet Cong, every sack of rice and supplies stolen from the American moralizaba even more if it is to the Vietnamese people, whose motto was we will fight a thousand years. The Viet Cong army used the tunnels of Cu Chi to appear from nowhere, ambushing the enemy and disappear without a trace. Vietnam War in Cu Chi Vietnam War in Cu Chi The tunnels were discovered by chance by an American Sergeant, who believed having been stung by a scorpion when in reality had sat on one of the traps placed at the entrance of an entrance to a tunnel hatch. In the beginning was underestimated the length of the lattice of tunnels, since it was very dangerous to send to soldiers inside the tunnels, riddled with traps and very tight to prevent the passage of soldiers and weapons. At first we used water, toxic and explosive gases to neutralize the tunnels, but were efectivadad beyond the first few hundred meters of the tunnel, because the defense systems that had the túeneles. The U.S. Army used dogs to search the entrances to the tunnels, but were easily misled American soldiers using avatidos uniforms or simply with soaps stolen from Americans. After the failure, the Americans declared Cu Chi as a zone of Guerra Abierta, taking soldiers absolute freedom to open fire at discrecionse and also be decided to bombard the area. In the northwestern part of the Ho Chi Minh City 40 minutes from the city centre, we have the Cuchi tunnels (Địa đạo Củ Chi). The tunnels of Cu Chi is an interesting tour to experience in first person the recent history of Vietnam, the Vietnam and Indochina wars and above all, the Vietnamese wit. The Cu Chi area known as Tierra Fuego (also land of steel or steel triangle) was bombed relentlessly, the Viet Cong had to remain for days in the tunnels without being able to leave. Location: 27 kilometers away from the city center. Open daily from 7:00 to 17:00. Recommendations for visitors of Cuchi tunnels Delve into the interior of the complex of tunnels of Cu Chi area means crawling in the dark by a few long and claustrophobic tunnels for several metres. Although these tunnels have been enlarged to allow the passage of tourists, probably touch shoulders in the walls. We must advance to cats or squatting now that the roofs of tunnels are very low. Inside the tunnel the humidity is very high, Cu Chi tunnels are poor illuminated so you have to walk in the dark. 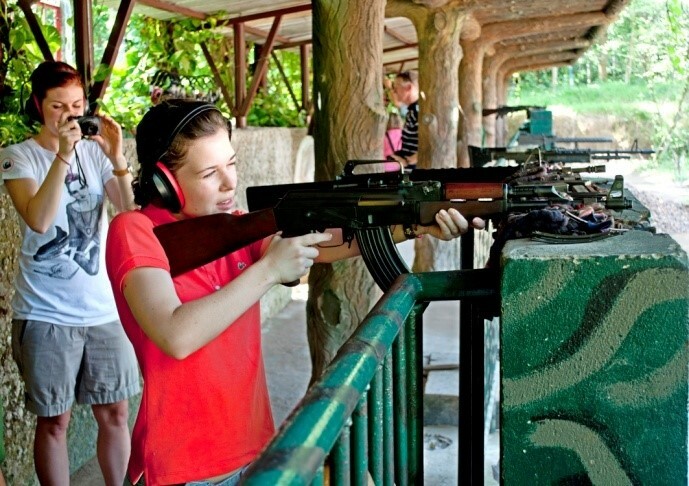 During the visit to Cuchi complex you can see the Museum / exhibition, and also get into 3 Cuchi tunnels and for the bravest, firing weapons with real ammo used in Vietnam war. Beginning of the visit to Cuchi. To enter war situation, we will go into a bunker as a small showroom where projected a video documentary about the war, with communism by flag. The visit by Cuchi continues by a few recreations and models where we can see how life was in the tunnels: schools, dining rooms, bedrooms, trenches, hospitals, workshops, control rooms, etc. as curiosity will say that the Cuchi tunnels inside it there is a American helicopter show down kept to motivate the Vietnamese people, but this is not part of the visit. In this part of the visit, you should look carefully an outline explaining the distribution of tunnels and system complexity. Connections tunnels, smoke evacuation systems undetected, water supply (remember almost 10,000 people lived in these tunnels). At this point in the visit by Cuchi walk through the jungle Vietnamese, where we will have chance to see the craters formed by the impacts of the bombs thrown from American B-52 bombers. After reaching a clearing in the forest, tour guide urged us to try to discover the gateway into the tunnels. The small access hatch, perfectly camouflaged among weeds, leaves and soil, it's virtually undetectable. Soon a soldier appears and disappears from nothing, thus revealing the location of the trap door for access to the tunnel. Access hatches are designed to allow passage to the Vietnamese (short people and less-corpulent) but not to the invaders. This is the right time to take the typical photo out of the tunnel and our hands gripping the access hatch to the tunnel. During the visit, we will have the opportunity to see a sample of the different types of traps used by the Viet Cong to injure or kill the enemy. Curious and ironies of war, the remains of the American bombs were fused to reuse metal to build traps. 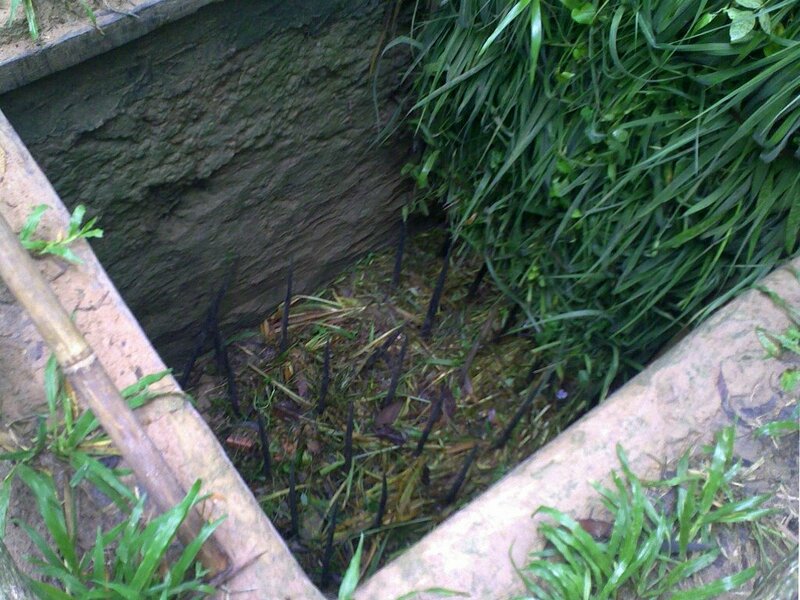 These traps range from a hole in the jungle inside is filled with sharpened bamboo stakes, as small traps designed to injure the legs of enemies. All traps have in common that they use the weight of the enemy to self-impale. The most exciting part of Cuchi sightseeing is squat to enter a narrow, damp tunnel (widened for tourists) and move in the dark for several meters along the tunnel, living in first person how hard life was during the war that ravaged Vietnam. There are three tunnels in Cu Chi open for the public: 5 meters length, 15 meters length and 25 meters length (we recommend to start through the 5 meters tunnel). The visit by Cuchi concludes in a trench where we can see traces of weapons used in the Vietnam War: cluster bombs, rocket launchers, missile launchers that montabans American helicopters, a collection of short-range weapons and machine guns (the famous AK -47 submachine, weapon of choice is part of the Viet Cong in the sample). Here they will give us the opportunity to shoot ammunition using an AK-47, the weapon of the Viet Cong, or a machine gun M-16, the American weapon. The price is 5$ for a charger with 5 bullets. Weapons are configured in manual mode, i.e., bullets fire one by one (to avoid an automatic burst and running out of ammunition just pulling the trigger). Also weapong have been modified with leather on the hitch of the charger so that bullets come out more slowly, thus having less recoil. Don't worry the noise that weapon make to shoot real ammunition is deafening and the recoil of the gun is brutal. Before leaving us even touch the gun, the tour guide will make sure we take the weapon correctly and that the support from our shoulder to minimize recoil.